MUMBAI: Joe Jackson, father of Michael, Janet and the performing family, and architect of The Jackson 5, is in the final stages of terminal cancer, a source close to the situation confirmed to Variety.com. The Daily Mail claims that Jackson's "handlers" had barred certain family members from visiting him, which son and former Jackson 5 member Jermaine spoke about to the paper. MUMBAI : Singer, songwriter Janet Jackson delivered an energetic comeback at the Panorama Music Festival on Randalls Island. MUMBAI : Pop legend Michael Jackson was "chemically castrated" by his father Joe, according to the late star's doctor Conrad Murray.Murray said Joe, who died from cancer last month, was "cruel" to his children. 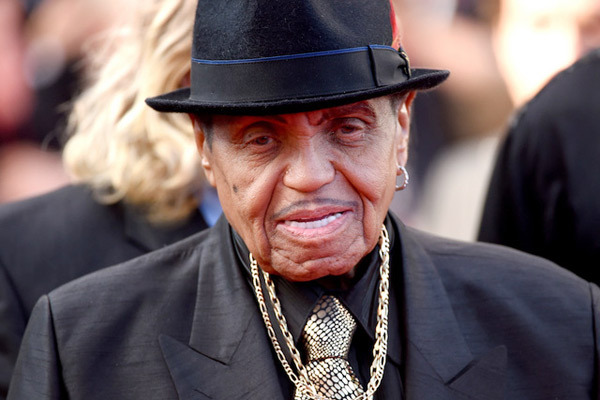 MUMBAI: Joe Jackson, patriarch of the musical Jackson family, was laid to rest in a private funeral at Forest Lawn in Glendale, California -- the same place as his late son, King of Pop Michael Jackson, was buried following his death in 2009. MUMBAI: Joe Jackson, patriarch and manager of American musical dynasty that included the Jackson 5, its star lead singer Michael Jackson and soloist sister Janet Jackson, has died following a battle with cancer. He was 89. MUMBAI: Janet Jackson has a beautiful baby boy, say the singer's brothers Tito and Jackie. The brothers appeared on ‘Good Morning Britain’ show on Tuesday and spoke about life within their iconic family and more, reports mirror.co.uk.